Oil is rising in price in anticipation of the results of the annual meeting of the Organization of Petroleum Exporting Countries (OPEC) in Vienna. It appears as if there will be a concerted effort to keep the price of a barrel of crude oil in the $100.00 range by the members of OPEC. That is bullish for Big Oil stocks such ExxonMobil (NYSE: XOM), Royal Dutch Shell (NYSE: RDS-A), and Occidental Petroleum (NYSE: OXY). Many previous articles on this site have detailed the appeal of Big Oil stocks. The demand for energy will increase, according to a recent report from the International Energy Agency. The increasing need will have to be met by fossil fuels, according to “The World Energy Outlook.” No alternative energy source is near the stage to handle huge loads. The increasing demand for oil and natural gas is very bullish for Royal Dutch Shell, ExxonMobil, Occidental Petroleum, and others. All have a global presence in the energy market. Each can be expected to benefit from the rising need for energy, especially from Asia. Each also pays a dividend yield that is above the average for a member of the Standard & Poor’s 500 Index of around 1.9%. ExxonMobil has been particularly strong in recent market action (chart below). 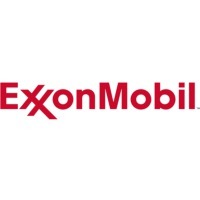 The world’s largest oil company, ExxonMobil has been a steady performer. What has the stock up was the news that legendary investor Warren Buffett just made a massive buy of ExxonMobil stock. As a result, ExxonMobil is up nearly 6% for the last month.